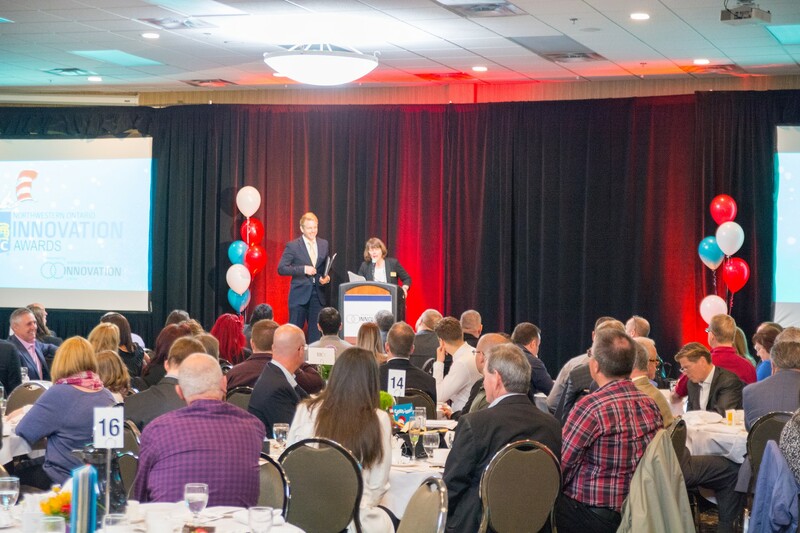 The Northwestern Ontario Innovation Centre is putting out a call for nominations for the 11th annual RBC Innovation Awards- Recognizing and Praising Innovation, taking place May 30th. This is your opportunity to show your support for the local innovators within the community who really drive our economy. This award acknowledges a company's leadership through the innovation of its products or services, the sustained growth of its assets, and its dedication to community involvement. Innovation should be the energy fueling this emerging or expanding company. This award acknowledges an organization whose project demonstrates leadership with the creative use of innovation. An ideal project would include benefits such as the advancement of the organization, improvement of client / customer services, and positive impact on the community or the region at large. This award recognizes an individual in Northwestern Ontario who takes an innovative approach to improve his / her organization, business, or community. This candidate may be a youth, student, business leader, community leader, teacher, professor, or professional. This award encourages and recognizes young innovators in Northwestern Ontario who demonstrate an innovative approach to schooling, extracurricular activities, volunteer work, or has an innovative project or business. This candidate must be between 14 and 29 years of age. Interested in attending the RBC Innovation Awards? Come on out to this luncheon to help celebrate innovative businesses, projects, and individuals in Northwestern Ontario!